We'd like to introduce our friend Kathleen Moorhead Johnson. She is an amazing and prolific quilter! Kathy has made almost as many Jewel Box quilts as Cheryl. 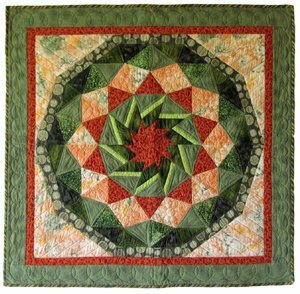 Her Mini Jewel Box quilts are astounding! Kathy teaches several of the PFA (Phillips Fiber Art) favorites and has written several patterns of her own using PFA tools. 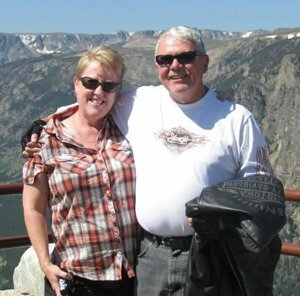 She lives in Alexander, ND and teaches classes North Dakota, Montana, Minnesota, Wyoming and South Dakota and even down in Austin, TX a few times! 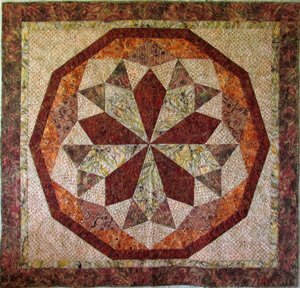 How did you get your start in quilting? I started quilting in 1984. I moved to Watford City with a one year old and three year old. I thought I would make some friends by taking a quilting class I saw advertised at the bank. Little did I know where it would lead! 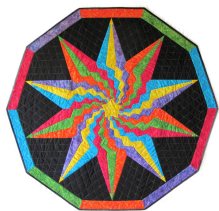 I joined the local quilt guild right away and found my niche in the community of quilters. 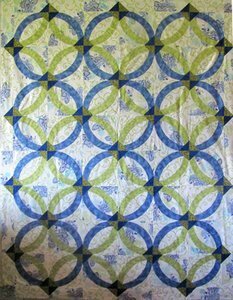 I taught myself to machine quilt using Harriet Hargrave's book Heirloom Machine Quilting in 1987 and was asked to start teaching the techniques. From then on I have been teaching regularly. Which is your favorite PFA tool or pattern? I really can't choose a favorite PFA tool. They are all wonderful! I love how so many of them work together. I love teaching classes using the PFA tools because the students are so successful using them. You have such an eye for color and fabric selection. What's your secret? People always ask me about my color choices. I really depend on the fabric manufacturers for that. I like to choose a wonderful focus fabric to take my lead from. I never try to make something that will "match" a room. I want to play with all kinds of colors. Really look at the focus fabric and make your color choices from there. You can also push those colors to just a little lighter or darker, more intense or one step further on the color wheel than the colors in the focus fabric to give it some punch. The thing that has made quilting special for me has been all the wonderful people I have gotten to meet and become friends with along the way. I love to teach someone and get them excited about quilting, to let them know they can make something beautiful. I like PFA patterns because they are so much easier to make than they look and having a student succeed when they think they can't is so rewarding! PFA is so generous with all their free patterns, hints and videos, it makes it easy to sing their praises. Check out her website for more about this wonder quilter and friend. Thank you to our wonderful friend Kathy for sharing her story with us. We are blessed to have you in our family of quilters.